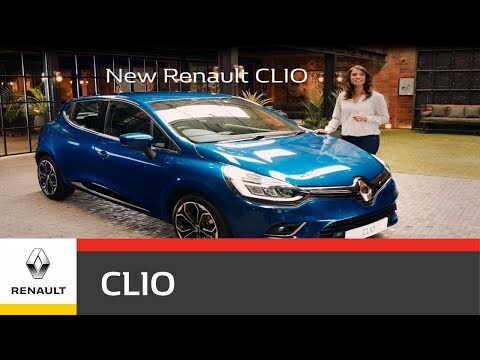 The stunning new Renault Clio has always made the very latest and useful technology available to all - With equipment such as Touch screen technology, navigation, the innovative Renault Bass Reflex sound system, key less entry with Hands-free technology, hill-start assist and ECO mode to name but a few. The New Clio has everything you could possibly want. The new Clio offers a range of state-of-the-art engines. Electronic Stability Control, ABS with EBD, Hill Start Assist and ISOFIX child seat anchorage points all come as standard to ensure hassle-free peace of mind motoring. Discover a little more about some of these safety features below. Hands free parking No space? No problem. Thanks to this system, the car feels like it parks itself, not only calculating the precise space available, but even taking control of the wheel. All you need to do is take control of the pedals and keep an eye on your manoeuvre. The result: parallel parking perfection. Optional on GT Line. Rear parking sensors If you’re a little close for comfort, don’t worry. Our rear sensors will be your guide. Standard on Iconic and GT Line. Hill start assist When starting on a steep slope, brake pressure is automatically maintained for two seconds, helping you set off safely. Electronic Stability Program ESP improves vehicle stability whenever you lose grip, helping you to remain on the road and in control. Emergency brake assist This system gives you a helping hand (or foot) when you need it most: emergency braking. When activated, it enhances your braking and reduces your stopping distance. Essential. Electric folding door mirrors Retract your door mirrors with the push of a button whenever you leave the car. CLIO’s as clever as it is beautiful, flaunting a wide range of high quality technology that’ll take your breath away. Keep in touch through R-LINK multimedia with Android Auto™ and TomTom navigation options or enjoy exhilarating sound with the BOSE® Premium Sound System. Whatever takes your fancy, CLIO’s got what you need. Optional on Iconic and GT Line.